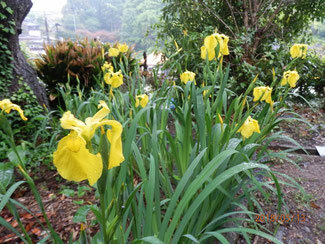 Our garden is now abloom with iris, which look good with the rain. That tells us the rainy season is coming soon. Flowers or blossoms change one after another every a few weeks in this time of the year.